It’s a stormy day in Brooklyn today. This is fitting given the occasion. Today is 12 years since my dad died—he was only 49, and the day we buried him it was cold, rainy and the winds were full of gust. He never lived the life he wanted. He dreamed of being an artist, and what an amazing one he was, but his father didn’t support that dream. His father was also an alcoholic, as was his sister, and that was a noose around his neck that he unfortunately battled his whole life…and often succumbed to. 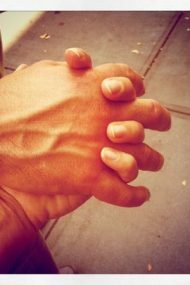 Our relationship had been strained for a long time before he died, but we’d made our peace a week before he was hospitalized. When I left the hospital that day, I was at the elevator bank and wanted to run back for one last hug and kiss. I decided it could wait until my next visit in a week. I was going to talk with my boss about a leave of absence after finding out he only had a few months left to live. Three days later, I got a call that he was in a coma, and it would only be a matter of time since he had signed a DNR. Twenty-seven hours later I watched as the last breath left his body. It is an experience I cannot fully put into words. Something happens when you watch someone alive one moment and gone the next. It is humbling in a way. While we know life is just a short visit in the scope of things, the fact really hits home when you see it disappear in an instant. I also learned the hard way to seize the moment. I often dream of what that final hug and kiss would’ve felt like had I ran back from the elevators the week before. Now, I’m sorry if I’ve saddened you because that is not really the point. The lesson I took away after losing my father was to always, always, always follow my dreams—no matter how uncertain they may seem or fearful of failure I may be. 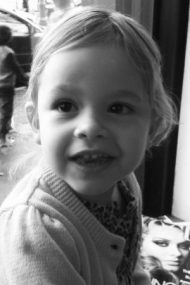 As I told my daughter just yesterday, every mistake is a chance to learn. 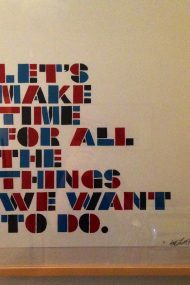 Learn how to do it better the next time, and the next time, and so on. This is actually a spin-off from my brown butter bourbon pecan banana bread. 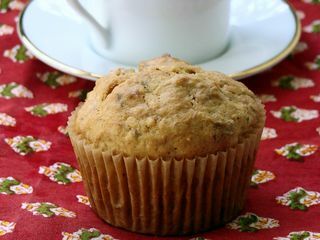 I had some overripe bananas last week, and decided to use that recipe as a springboard for these muffins. Preheat oven to 350º. 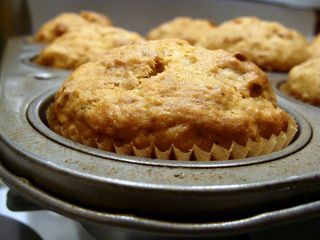 Grease a 12-cup muffin tin or use paper liners. Combine flour, baking soda, baking powder and salt in a medium-sized bowl; set aside. Melt butter over medium heat in a small, heavy-bottomed pot. Cook until it begins to brown, but not burn; it will smell nutty and fragrant. Remove from heat and let cool for 10 minutes. Vigorously whisk the eggs and brown sugar until thick and well mixed. Add mashed bananas, cooled browned butter and vanilla; whisk until mixed well. Pour in the flour mixture and buttermilk, and stir, using a wooden spoon, until just combined (but no visible flour). Fold in the walnuts. 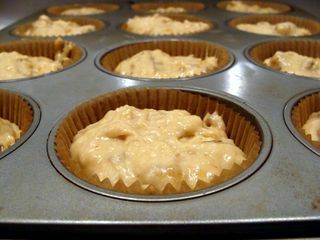 Evenly spoon into prepared muffin tin and bake for 30 to 32 minutes, until tops are lightly browned and a toothpick inserted in center comes out clean. Looks so good! And your photos look amazing! Love these! I always have brown bananas to use up too! YUM!!! I LOVE using brown sugar in my banana breads, never thought of browned butter too. They look amazing – thanks for sharing! Jennifer- what a wonderful post on the memory of your father. My dad has struggled with heart disease since he was 42 and I have had many of those elevator thoughts. This made me want to pick up and give him a hug. Great recipe too! Can’t wait to try it out on the fam. Thanks for sharing about your dad. My dad too died too young and suffered with alcoholism. When he became seriously ill, I had planned on taking time off from my job. But he suddenly died before I was able to do that…. It is hard to live without regrets. On a more positive note – my husband loves banana bread so thanks for the new recipe! Your muffins look great. Wonderful post remembering your father and about following your dreams. 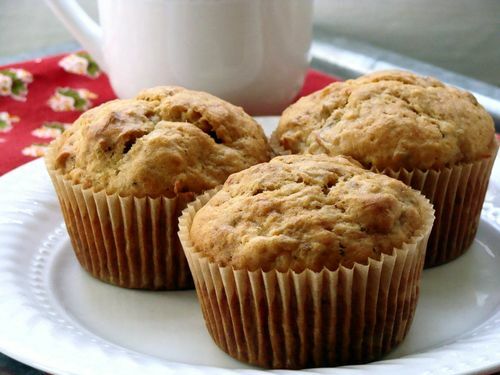 Banana quickbread/muffins are one of my favorite goodies. I can’t wait to try it with the browned butter. I was with my mother when she passed a little over two years ago. I don’t think the memory ever leaves you. Good for you for taking a positive from the experience to follow your dreams. And for passing the lesson on to your daughters. I admire your ability to talk about these kinds of things and I agree that you should always follow your dreams because in the end, you can have all the money in the world, but if you haven’t accomplished what you wanted to do, it almost feels like a waste. On another note, these muffins look like a delicious way to start off a day of following my dreams! So moving. I know what you mean about watching someone die. It’s a surreal experience. I hope you’re okay – and these muffins look amazing. Of course, they have brown butter in them! It is so hard to watch someone you love die, it does stay with you for a long long time. You take the experience and turn it into a positive one like you’re doing right now. 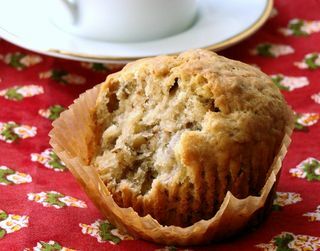 on a happier note, those muffins look yummy, I love the idea of putting brown butter in it. Looks delicious and full of flavor. The muffins seems great in a gloomy weather. These are very good, not to sweet. I used 3 very ripe bananas but I think they need a little more banana flavor. Next time I will add 1/2 tsp. banana flavoring. They do require the full 32 mins of baking otherwise they’re a little gooey in the middle.